...Dan Botwe says political parties have agreed Sunyani, Oct 27, Chronicle -- New Patriotic Party's General Secretary, Mr. Dan Botwe has revealed that political parties have signed an unprecedented conduct of conduct to allow government officials such the President and his Vice, Ministers of state as well District Chief Executives (DCE) to use public resources for political campaign. According to Mr. Botwe, the resolution agreed that each minister and his deputy, as well as the DCEs are entitled to use only one official vehicle to do their political errands adding that his party would ensure that the prescriptions in the resolution would be strictly adhered to by its ministers. Mr. Daniel Botwe, made this disclosure during an interaction with the media in Sunyani on preparations by the party to win the December 7, 2004 elections. Touching on the declaration of the President that he would not go to Dagbon to campaign, the NPP General Secretary explained that the declaration of President Kufour does not mean that NPP would not campaign in Yendi at all. He said what the President meant was that he President Kufour would not step foot at Yendi, until the murdered Over-Lord of Dagbon, Yaa-Na Yakubu Andani is buried. Mr. Botwe, noted that the government and for that matter the President Kufour is worried about how some political parties and individuals have politicized the Yendi crisis. 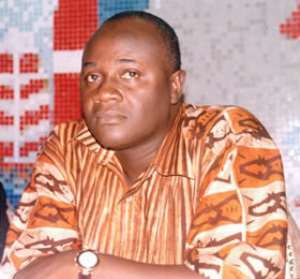 He stated that the President does not mean that NPP has no interest in Yendi. The General Secretary therefore appealed to the people of Dagbon, particularly the people in Yendi to appreciate what President Kufour had said and accept it in the context in which it was made. He reminded the people of Yendi to still stick to their tradition in the political history of this country. According to him, Yendi since the inception of politics in the country belongs to the UP tradition and added that he was optimistic that they would continue to stick to the tradition by voting massively for NPP, despite the declaration of President Kufour. Mr. Botwe urged Yendi constituents to vote for the NPP candidate, Alhaji Malik Alhassan, as MP and President Kufour as President. On his mission to the Brong Ahafo capital, Sunyani, Mr. Botwe disclosed that NPP is embarking on the training of 11,920 polling station executives in all the 2,384 polling stations in the region. The NPP General Secretary explained the work of the polling station executives and that of polling station agents whom he said have four-year tenure of office as any other executive in the party. The NPP has adopted this strategy of campaign as measures to minimize cost in campaigning”, he said. The polling station executives, he said, could also be used as polling station agents as well, but indicated that the party would in its final phase of its training train more polling station agents towards the elections. Mr. Dan Botwe stressed that the target of NPP in this year's election is to win over 160 seats all over the country and therefore they would not relax in their bid to achieve their target.